Before I go on I want to tell you that I have not used this product as a meal replacement shake. 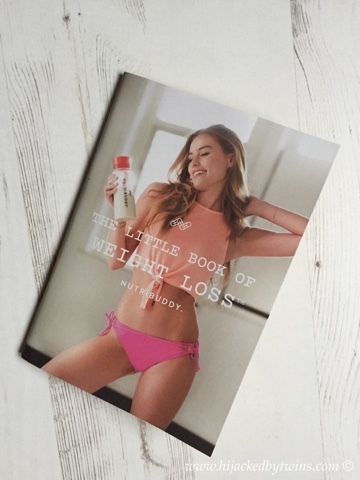 This slimming plan is to be used alongside eating a healthy diet. I do not agree with or have had any long term results from meal replacement shakes. 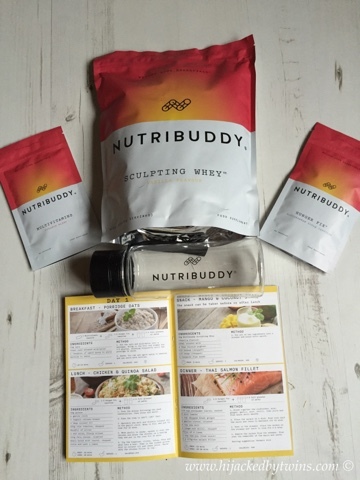 Nutribuddy are a complete healthy eating and fitness supplement plan. To help curb you hunger you simply take 1 - 2 Hunger Fix capsules one hour before eating. Accompany these with a daily dose of multi vitamins and the Sculpting Whey in between a meal or after a work out. The Sculpting Whey is an excellent source of necessary amino acids! Before I tell you how I got on with Nutribuddy let me tell you a bit more about each of the products. 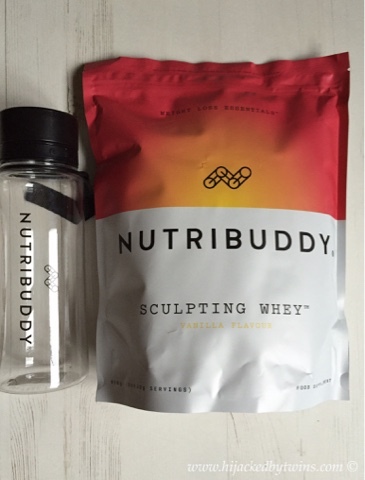 The main ingredients of the Sculpting Whey are whey protein, green tea, guarana and chromium. All of the ingredients are non-GMO (genetically modified organism) and the whey is from grass fed cows. The Hunger Fix capsules are designed to make you feel fuller quicker and for longer. The prime ingredient in the capsules is Glucomannan which derives from the root of the Konjac plant. Glucomannan is a natural ingredient which expands in the stomach, hence feeling fuller quicker and for longer. This tablet contains all of you recommended daily amount of lots of vitamins to ensure that you are as healthy a possible. I have been pleasantly surprised with Nutribuddy. I first started off taking just one of the Hunger Fix capsules and to be completely honest, I noticed no difference. So I upped the dose to two capsules which I did notice more of a change. The only problem that I have had with the capsules is remembering to take it an hour before eating. Having a busy family life things like that can be forgotten. If you do not have any children you will not be as restricted to meal times, but as we always eat together I need to set an alarm to remember! When taking two capsules I have noticed that I have felt fuller for longer so they certainly do what they promise. With the Multi Vitamins I can honestly tell no difference taking them. I still catch the kids colds and get tired but that is simply down to having a busy life. I will say that when I have taken other multi vitamins in the past I have not noticed any change either so I really was not expecting to feel any different. But just because I do not feel it does not mean that they are not doing me good! The Sculpting Whey shake is delicious. I chose the vanilla flavour as I find that the flavour is a lot more versatile. When making the shake I add non dairy milk and some frozen berries for extra flavour. My favourite shake has to be with using unsweetened soya milk with a hand full of frozen raspberries and a handful of frozen blueberries. You will probably know that the last couple of weeks have been hard for my family so I will admit that dieting has been at the bottom of my list. But I am now back on it and I cannot wait to show you the final me! 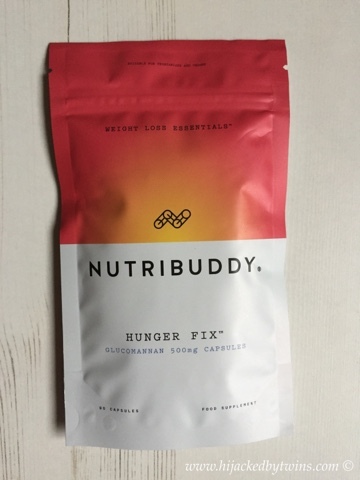 Disclosure: I received the Nutribuddy Starter Kit for the purpose of this post. No cash payment was received. 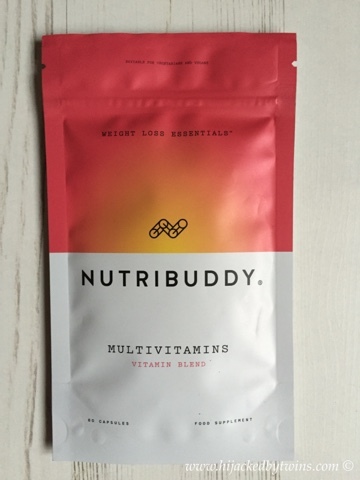 i have purchased nutribuddy few months back. It worked so well that I have lost 6 pounds in a month. Thanks for this amazing product! I read an article that enlists the top 10 diets that helps in losing weight and maintain a perfect figure. It motivated me, and I have started decreasing carbohydrates and adding protein rich food in my diet.